QUẢNG NINH — The 25th meeting of the Mekong River Commission (MRC) Council was convened in Hạ Long City, the northern province of Quảng Ninh, yesterday. It brought together 120 delegates from the council’s four member countries of Cambodia, Laos, Thailand and Việt Nam. The commission’s dialogue partners – China and Myanmar, and nearly 25 development partners also sent representatives to the event. Addressing the meeting, Vietnamese Minister of Natural Resources and Environment Trần Hồng Hà, who is also Chairman of the MRC Council for 2018 and Chairman of the Việt Nam National Mekong Committee, said the MRC has fulfilled its mission of serving socio-economic development of the member countries over more than two decades. With solidarity and resolve of the member countries, and valuable support from development and dialogue partners, as well as other relevant parties, the commission has reaped achievements, he said. He applauded the important role of the dialogue partners in managing water resources in the Mekong River basin and the great financial and technical support of the development partners to the MRC which, he said, helps the commission realise tasks set in its Strategic Plan. The meeting reviewed the commission’s operation in 2018, and agreed on a work plan for 2019. Within the framework of the event, meetings were held between the MRC and its dialogue and development partners, during which both China and Myanmar affirmed they are ready to co-operate with the commission. China said it will continue to work with the MRC in the exchange of information and data as well as experts, promote joint technical research with the commission, and enhance collaboration within the framework of the Mekong-Langkang Co-operation. The development partners also pledged to further collaboration and financial and technical support to the MRC in 2019 and beyond. On this occasion, the MRC signed two sponsorship agreements with development partners, under which the EU committed EUR4.82 million (US$5.4 million) in support of the commission’s operation during 2016-20. 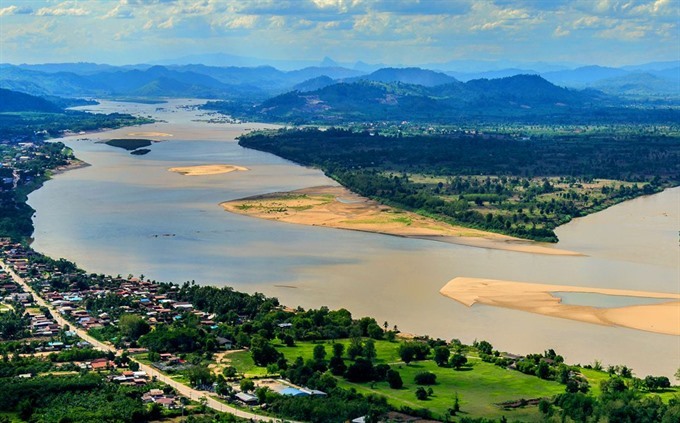 The German government also pledged to grant EUR4 million to the MRC, to enhance cross-border partnerships in water resources at the Mekong River basin in 2019-21.